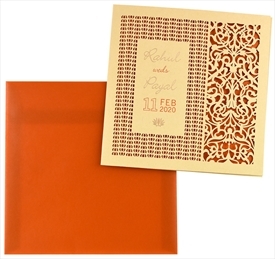 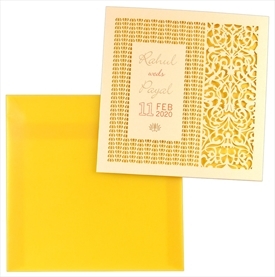 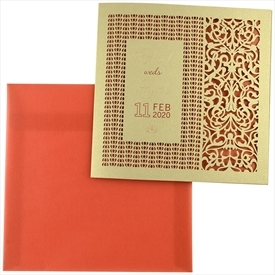 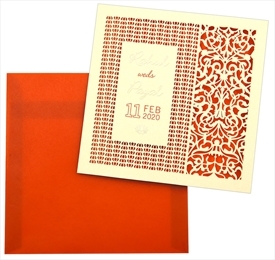 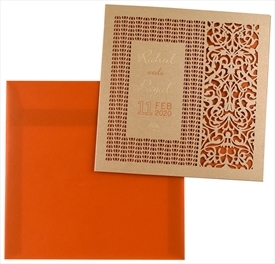 The main card has the names of bride and groom beautified with highly detailed Jali laser cut all around. 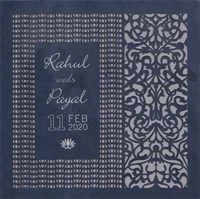 The Silver vellum paper pasted inside gives depth to the laser cutting. 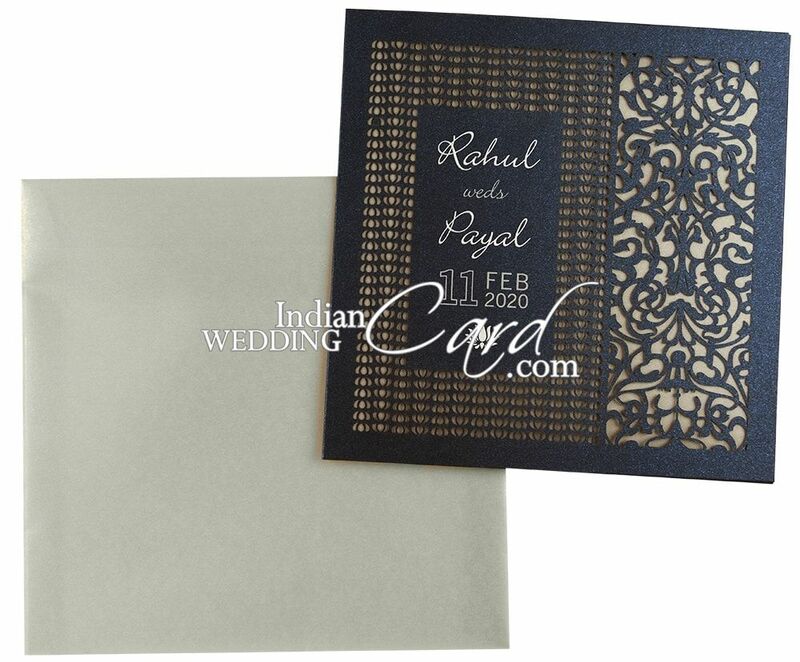 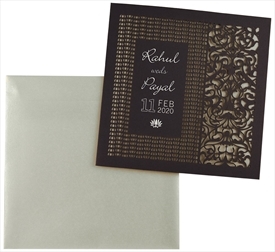 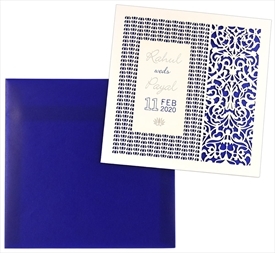 This simple yet luxurious wedding card will make your invite even more elegant. Blue shimmer paper (250gsm) for main card. 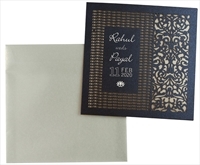 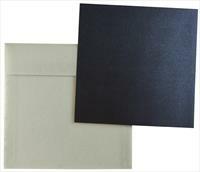 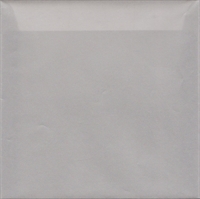 Silver color vellum paper for envelop and inside pasteup below the laser cut.